Dakim was founded in 2002, when the father of CEO Dan Michel got Alzheimer's disease and Dan tried to do everything he possibly could for him. Dan noticed that when he did certain things to stimulate his dad's mind, he felt as though his dad were more 'with it' and present. Initially, Dan tried to do this without the aid of computers. Since then Dakim has come a long way. They’ve raised over $13 million dollars and have become the number one firm providing cognitive training to the nation's senior living facilities. They've become so successful in the senior living space that they adapted their system for home use and just launched a home version of it late spring. Their success is based on making everything fun for their users -- it's the only way to keep them playing over a consistent enough time frame to get any of the beneficial results, while keeping game play challenging enough to confer the benefits of cognitive stimulation but not too difficult to discourage or too easy to become boring. Though fun, everything they do is based on science. Their chief scientist is Dr. Gary Small. He is Professor of Psychiatry and Bio-behavioral Sciences, the Director of the UCLA Center on Aging and one of the world's leading physician/scientists in the fields of memory and longevity. One of Dakim's motto's is "grounded in science; based on fun" and every session completed is sure to work all six cognitive domains for a well balanced and thorough brain workout. 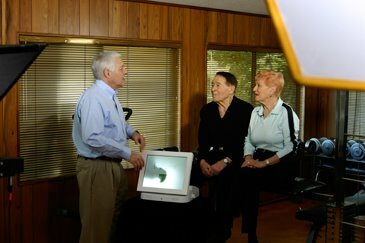 Jack LaLanne became Dakim’s official brain fitness spokesman. He's a fitness icon and is approaching 94 years of age. He has a Dakim system in his house and Dakim's usage records show he's a religious user. 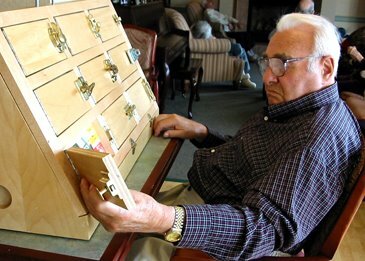 Also key to their success with seniors is the fact that they don't need to know how to use computers to operate the system. It has a touch screen interface and an on/off switch. All you have to do is plug it in, give it an Internet connection and turn it on. From there, the friendly host takes over and leads you through your daily brain work outs. The machine self-diagnoses and corrects any problems on its own and will also automatically download and install updates. As far as seniors are concerned it's truly a plug and play experience and they don't have to worry about all the fuss and confusion associated with owning, maintaining, and operating a computer system in order to get a fun and effective brain work out. It's a hardware/software solution that offers cognitive training for people with brain impairments affecting memory and general cognition. The solution is very unique because it's built especially for people who don't use computers or are incapable of using them because of cognitive impairments. 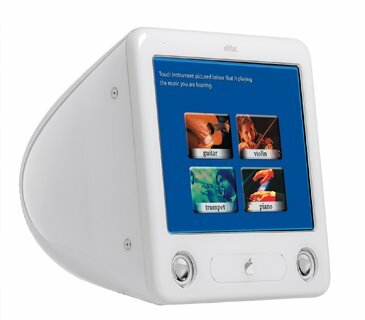 2003 -The first prototype of a technology based cognitive stimulation device created by Dakim used an Apple eMac fitted with a touch screen interface, configured by Jerry Robinson. 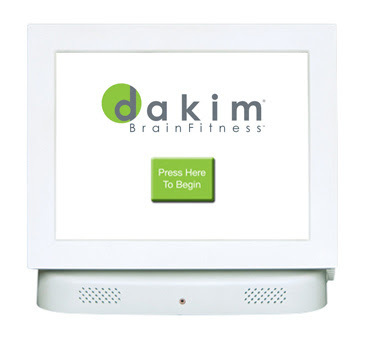 Less than two years after its introduction, Dakim BrainFitness System becomes the #1 brand of brain fitness products in America's senior living community. The coolest thing about it is the content -- everyday you get 20-30 minutes of brand new brain training exercises that come in a game show-like format complete with a game show host who introduces new games and encourages you to play. 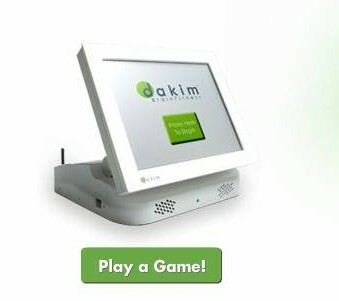 Check out their website https://www.dakim.com/.